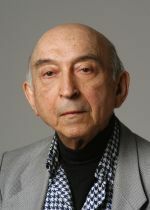 Lotfi Zadeh, inventor of fuzzy logic, who died earlier this month at the age of 96. I’ve long had an idea about the curved nature of things, the non-binary natural order. This is not the same as relativism versus absolutism, which is one sense a binary opposition in itself; rather, it is a straight acknowledgement that truth is never fully observable, that is it at least always subjective, and that even in the subjective moment it is mutable. What I see may not be what you see; and what I see is inconstant. Time impacts on that observation such that its character is unstable. Take pain and pleasure, for example. While on the one hand some people take a kind of satisfaction from pain, and are attracted to it, whether physical or emotional, so too others recoil from pleasure, perhaps based on guilt, or other psychological alignments. Still further, the same act – a touch – can bring immediate pleasure, while the same act, more forcefully applied, can either increase the pleasure or turn at some point to pain. Lotfi Zadeh, who invented fuzzy logic, died earlier this month at the age of 96. In our manufactured order, he saw imperfections, disorderly structures, rule breaking things. Certain creatures in the order of animals – starfish, bacteria and so on – didn’t quite fit the class, for example. The class of beautiful women similarly had some disorder to it. Imprecision characterised our order. Karl Popper has contested the fundamentals of science (and by extension knowledge and truth) based on developments in quantum mechanics (notably Heisenberg’s uncertainty principle). Hayek, who I wrote about yesterday, based his intellectual structures on the sociological concept of spontaneous order, a kind of natural process grounded in nature, resulting in an elegant order within which one could extrapolate, form assumptions, and construct theory. Can the failures of neoliberalism be attributed to the actual nature of things being less ordered? More fuzzy? More uncertain? The subjective nature of observation, and the potential impossibility of consistent knowledge and truth (as a result of time) are both difficult to assimilate into our conscious thoughts, and usually assumed away in the interest of science, relegated to the domain of the philosophers and the priests. Cogito ergo sum, and all that. There must be some basic underpinnings, some grounding and basis for thought. This is not nihilism to contradict such assumptions; it may well be that we are real, it’s just that we’re not as able to understand ourselves as perhaps we thought we were. As Tim Morton would put it, maybe we should just shake hands with a hedgehog and disco! Researching state legitimacy, AI, identity, critical theory, and how technology changes personal identity and the nation state. One wife, three dogs, six guitars, and a seldom used trombone. Work for IBM but this is completely independent of that.